The United States will experience a total solar eclipse on Monday, August 21, 2017. The path of totality will cross in Oregon, about four hours South of Seattle. In honor of the event, we put together a playlist with some of our favorite music celebrating the sun. Listen to the playlist on Spotify and let us know if you have any other suggestions! We’ll continue to add music throughout the weekend. Best known around the world as “that theme from 2001: A Space Odyssey,” the opening movement of Strauss’ orchestral poem depicts light racing across the horizon. Kubrick’s film is built around celestial symmetry, with planets hanging in the balance. Strauss’ opening perfectly captures the drama of Monday’s eclipse. The music of Finnish composer Kaija Saariaho frequently draws on connections to celestial objects. We’ve picked one of her pieces related to solar phenomena, Lichtbogen, which evokes the shimmering luminescence of the Aurora Borealis. The mysterious music is also perfect for contemplation during the eclipse itself. 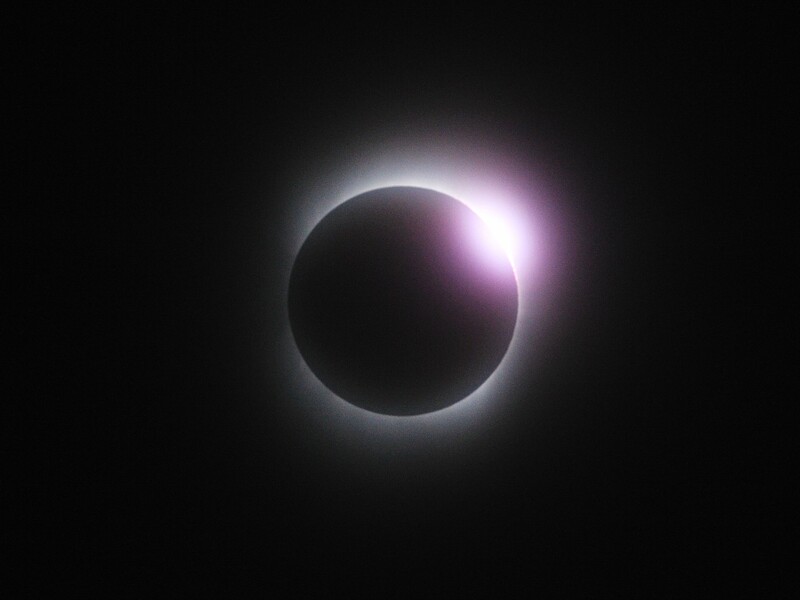 Alexander Borodin’s opera tells the story of a total solar eclipse in 1185 that was sighted by the Prince and his army during a campaign against the Polovtsians. The eclipse was considered a bad omen and figures prominently in the story. Long before Bonnie Taylor recorded “Total Eclipse of the Heart,” composer George Frideric Handel wrote an aria about the total eclipse in his 1741 oratorio, Samson. Also from Haydn, we suggest the duet “Shall the Sun Forget to Streak Eastern Skies?” from his oratorio, Solomon. This compact, two part concerto from American composer Augusta Read Thomas is a delightful, colorful journey for flute, guitar and chamber orchestra. We also suggest listening to her duo for violin and cello, Silent Moon. Why not include some music that NASA sent into space? There’s something barbaric about watching the sun’s light disappear, so we’re adding Stravinsky’s “Sacrificial Dance” from The Rite of Spring. Did we leave out some of your favorite eclipse music? Let us know on Facebook Messenger or Twitter!